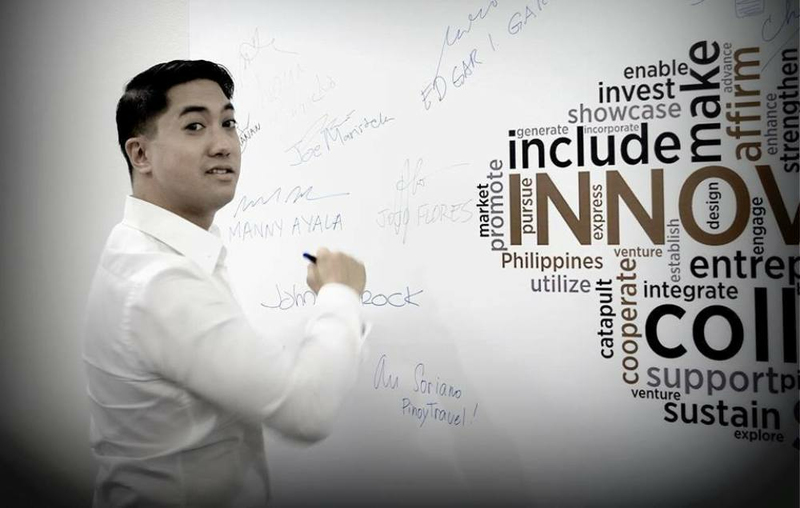 [30 SEPT 2016] Filipino serial entrepreneur and investor, Jose “Joe” Maristela III announced through his venture capital firm, Katalyst.PH, a new wave of investment fund amounting to one million US dollars (USD1,000,000). In the Philippine startup scene despite the emergence of local startup accelerators, innovation hubs, venture capitalists (VCs), and angel investors, the ecosystem still faces many barriers. Capital flowing in is too small compared to other markets. The government roadmap in creating 500 startups with total funding of US$200 million and valuation of US$2 billion by 2020 is quite a stretch, but definitely not impossible because of the limitless possibilities tech start-ups have. Joe’s outlook in the Philippines start-up economy is very positive adding to his high regard for the talents and skills of Filipino entrepreneurs, a series of investment rounds coming from his pocket is imminent.With Satoshi Citadel Industries’ (SCI) recent undisclosed amount of seed funding from Korean web giant Kakao’s venture capital arm KVG, Maristela is currently driven to replicate this through the new wave of investment fund he is putting in. “In order for a start-up to really grow exponentially, they need to have strong strategic partners and investors. It is only after almost a year that I found the right partner for SCI. John Park, the CEO of KVG and I simply agreed that there is a very promising future for finance in the ASEAN region and we believe that SCI will play a critical role in unearthing these potentials,” said Maristela. SCI is one of the first start-ups he invested in that started out as a remittance business through its platform, Rebit.ph. It now continuously strengthens its list of products and services and well on its way with a clear roadmap, a clear market, and a new strategic partner. “They said a start-up couldn’t take the ‘enterprise’ approach—in that I mean; many critics of SCI said that they couldn’t pull off so many products at the same time at such an early stage, but that is what’s being innovative is all about. The team, of course, is also a key component, with SCI, you will really see that they’re not afraid to try things; fail, learn, and adapt quickly. It’s what’s makes them a “cockroach start-up”—or a start-up that is very resilient,” Maristela added. Corporate venture partner, 500 Startups, saw a big potential for growth in one of Maristela’s venture: Qwikwire, where he was second to invest. Kntnt, Inc. (Kntn), another start-up where Maristela poured in some fund is making it big in the digital media and marketing space. Kntnt is earning a reputation for being able to close blue chip accounts in its first few months of operation making the company the official branding and marketing partner of industry giants like Samsung Philippines, Singapore Airlines, and Rustan’s. “I believe the additional one million USD will go a long way out here given the talent and strong spirit of Filipino entrepreneurs. It will allow us as well to get into several niches that we have not considered investing in yet in the past. These companies don’t need to be in the tech businesses. I believe that there are businesses that are non-tech that can still have great impact and by that I mean start-up businesses that are ready and available to engage 90% of the market within a year or two in operation,” Maristela said. Aside from angel investing, his thrust is also geared towards helping the government develop a startup ecosystem for an inclusive economy -- making sure that there is a chance for every aspiring entrepreneur in the Philippines to make it big. Maristela is also backed by a new network where he is a co-founder, the Manila Angel Investors Network (MAIN). It is the brainchild of Rene Benitez, a concurrent member of Sydney Angels. Benitez wants to replicate of the Australian based group in the Philippines. Maristela finds great confidence having MAIN behind him. “I used to do all of this heavy lifting on my own before; reporting back to my partners the progress of my venture builder office with minimal progress every week was a tough challenge, but now that I have MAIN with me, it’s been easier to access resources with due diligence. MAIN also assists me in properly assessing deals,” Maristela said. MAIN’s reciprocal members include Business Angel Network South East Asia Ltd (BANSEA), Sydney Angels andNew York (NY) Angels among others. “I’m always on the lookout for opportunities. If people have ideas that they think can make it big out there, they can always apply for funding through www.katalyst.ph. I always check out the submissions and get in touch directly with the founders if I see a great potential in their ideas. I use my personal money in all my investments and course it through Katalyst, my private investment firm. I do not take outside funds, I carry all the risk that’s why I need to carefully assess every start-up I come across with looking for funding,” concluded Maristela.